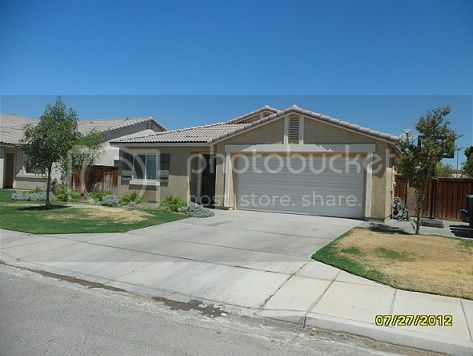 Welcome home to 331 Cahuilla Dr located in the nice and quiet neighborhood in the city of Imperial, California. This home is ready for new home buyers to call it their home. The house is well taken care of and it is a great opportunity to make it anyones dream home in a great location. Located in a family oriented neighborhood near the school area, this home features 4 bedrooms, 2 baths, and a spacious living room for a great family movie nights. The home includes a beautiful modern kitchen with an island to use as a breakfast bar. The living room and dining area is spacious to have your favorite furniture moved in. All rooms in this home have ceiling fans so you stay cool these hot summer nights. The home also includes a nice patio that can be decorated to anyones taste. A fooseball table or a nice pool table along with a colorful tropical garden would go great in this back yard.This home has a bbq area right next door so you can enjoy a nice steak while spending family time and it also features a small kids park for those who have toddlers running around. It is the perfect family area! Don't hesitate to call today and see this beautiful property!